Do you need a Civil War on your pedal board? 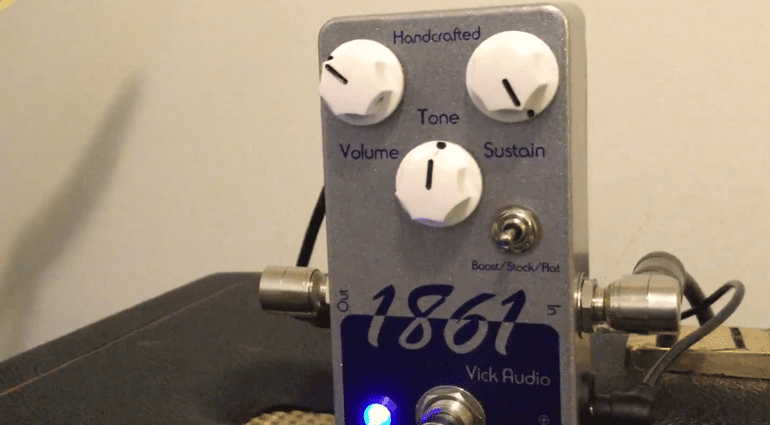 Vick Audio have just announced the 1861 Tau Classic, a ‘Civil War’-style Big Muff clone based on the Russian-built fuzz pedals from Electro Harmonix. 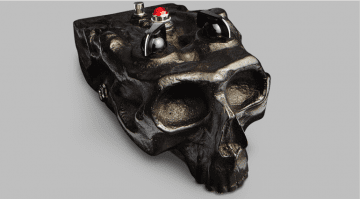 A brief history of the ‘Civil War’ Big Muff Pi fuzz pedal: The original Russian-made Bug Muff pedals were built in the Soviet Union as Mike Matthews was no longer able to pay a US workforce to build pedals at a competitive rate. He took production over to Russia in the early 1990s and used their factories to build some of his classic fuzz effects. The ‘Civil War’ bit refers to the original Russian paint job of Blue and Grey, which people have come to think represents the North and South colours of the American Civil War. Later Russian-built Big Muffs were green and, even later, black in colour, but the original blue and grey ones are the most sought after versions of these pedals. 1861, by the way, is the year the American Civil War started, so you can see that Vick Audio has followed on with that whole theme. I am a fan of Vick Audio, as their ’73 Ram’s Head Muff is as close to the original designs as you could want. But they sound a lot nicer than some of those vintage pedals and are more consistent. This new 1861 unit looks similar in design and also has the three-way switch for different mid-frequency positions. This makes the pedal more usable in a band situation and helps you to cut through in the mix. 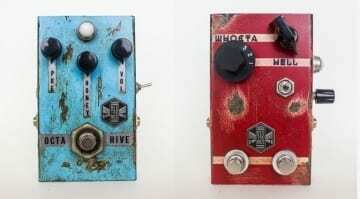 Vintage Big Muff pedals would often mean that your sound got lost among other sound sources. I was pleased to see this addition, as the ’73 Ram’s Head model I have tried is very useable. Expect a warm, smooth Big Muff sound with plenty of sustain and a big low end, all of which are common traits of the original Russian versions of the early ’90s. Have a listen to the demo video below and see what you think. 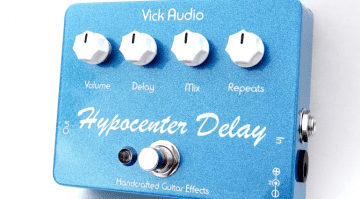 Vick Audio Hypocenter: From Big Muff to Delay! 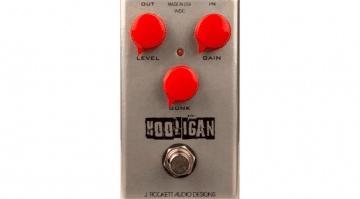 J Rockett Audio Hooligan fuzz pedal – ASBO time?